Some people think annulment and divorce are the same thing, and the terms are sometimes then used interchangeably. That couldn’t be further from the truth, as both have distinct meanings and different consequences. If you want to end your marriage and have questions, it’s important to speak with a knowledgeable Boca Raton divorce attorney to understand what your legal options are. Both annulments and divorce signal the end of a marriage, but in different ways. A divorce signals the end of a valid marriage, while an annulment treats it as though the marriage never legally existed. An annulment essentially means the marriage was never legally formed and therefore it can end without a formal divorce. This also means you aren’t required to state on official forms and government documents that you are divorced. While both processes have different legal meanings and consequences, there are some similarities. One of these is undergoing asset distribution like a regular divorce filing. This includes dividing property, possible alimony, and child custody. Annulments are not always straightforward and can be complex. A marriage that is voidable is one that can be annulled or affirmed, depending on the desires of the non-offender spouse. And, there is important timing that has to be adhered to. If the non-offending spouse knows about the problem but chooses to continue cohabitation with the spouse, he or she would not be eligible for an annulment down the line. You still need a court filing to initiate an annulment hearing. Since there is an assumption that a marriage is legally valid, the party filing the petition has the burden to prove the marriage was void or voidable. When you file a petition for divorce, it means you are wishing to end a valid marriage. Even marriages that could be voidable may end in divorce if they don’t meet the annulment requirements or waited too long. Is an Annulment Worth It? 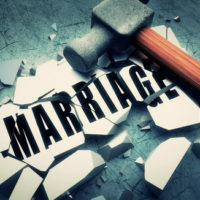 While it’s certainly desirable not to have a documented divorce for many people, getting an annulment is not necessarily an easy and quick process. It’s typically more complex than a divorce, and it can be more expensive. You could go through the entire process and get to the final hearing only to have the judge deny your request. Because annulments are tricky, you also need to retain a Florida family law attorney who has experience handling successful annulments. If you have questions regarding annulments or need assistance with terminating a Florida marriage, contact the Law Offices of Schwartz | White. Call our Boca Raton office at 561-391-9943 to schedule a consultation.